Flaws In Article Of Charis Kepron, Gino Somers and Michael Pollanen Exposed. “Sickle Cell Trait Mimicking Multiple Inflicted Injuries in a 5-Year-Old Boy” is the title of an article published in the Journal of Forensic Science 1. I do not know which expert reviewed and passed this article for publication but the 20% of healthy Ghanaians with sickle cell trait have good reason to protest at such a flawed article masquerading (as the authors Charis Kepron and others put it) “the first to describe sickle cell trait pathology as a mimic of a non-accidental injury”1. (i) Mentioning sickle cell disease (scd) and sickle cell trait (sct) in the same breath betrays clinical ignorance. References 1 and 2 on “sickle cell disease” quoted by Kepron and colleagues in support of a “sickle cell trait” article are therefore totally irrelevant. (ii) Ponder the following statement of the authors: “Sudden unexpected death in a 5-year old child due to pulmonary complications of sickle cell trait in whom the pattern of bone lesions seen at autopsy mimicked multiple inflicted injuries”.1 Now, 1 in 5 of all Ghanaian children at home and abroad who may be found to be traumatised and left with broken bones will be found to be sickle cell trait because 20% of the rest of the healthy Ghanaian population are also sickle cell trait ‘AS’. So does that mean the bone defects seen in this Ghanaian child in Canada can be attributed to sickle cell trait? (iii) The child had complained of a painful leg, and was said to have had “mild tissue swelling” and yet the X-ray films were not “retrospectively reviewed”.1 Why? (iv) There was no family study of sickling in a case report of such importance. What were the levels of Haemoglobin ‘S’ in the mother and/or the father? (v) The haemoglobin electrophoretic report is flawed. Add up the various fractions quoted in the publication and you get 100% [Hb A = 74.9%, Hb S = 23.2%, Hb F = 1.9%], but where is Haemoglobin A2? How could reputable haematologists, paediatricians, and pathologists forget Hb A2 in such an electrophoretic report? (vi) Autopsy showed the Right lower lobe of the lung to be (in their own words) “pale, congested, consolidated, and focally haemorrhagic”. The question is this: Are these pneumonic changes never seen in children who do not have sickle cell trait? In other words, does sickle cell trait have to be invoked to explain such pathological changes? (vii) “A layered dissection of the posterior para-spinal muscles of the neck” say the authors “showed focal areas of soft tissue haemorrhage”1 and yet they blame these changes on sickle cell trait, ruling out child abuse? (viii) The authors Charis Kepron, Gino Somers and Michael Pollanen report that “Both lungs contained foreign material in keeping with aspiration of gastric contents”, the classical residue for an aspiration pneumonia that could kill a child instantly, yet the sudden death was attributed to sickle cell trait by these authors? (ix) Staphylococcus aureus was cultured from both lungs, and yet complicated staphylococcal pneumonia was not suggested as the cause of sudden death, but the sickle cell trait with just 23.2% of sickle cell haemoglobin ‘S’ ? (x) The authors state that the sickle cell trait “can be a cause of acute complications normally associated with sickle cell disease including the acute chest syndrome”.1 This ex cathedra statement is simply not true. The sickle cell trait ‘AS’ had run at Olympic Games at Mexico City over 7000 ft where the air is thin and oxygen concentration is lower than at sea level, and these sickle cell traits ‘AS’ (or NORMACHE as I call them) had competed with and beaten the whole world. And the authors couple this ‘AS’ phenotype with Sickle Cell Disease phenotype (ACHEACHE)? Moreover, people of all nationalities without sickle cell trait die suddenly from aspiration pneumonia, so why should a sickle cell trait child behave differently? (xii) The authors’ references 11 and 12 in the article that they cite to blame acute chest syndrome on sickle cell trait failed to take cognisance of the ten Addae’s Critreria 7 which must be met before serious symptomatology is blamed solely on sickle cell trait. For instance, the sickle cell trait must not be blamed for serious symptomatology without quantification of Hb A2 and yet Kepron and colleagues did not even mention Haemoglobin A2 let alone quantify it. (xiii) It is quite surprising how facts that should have made Kepron and colleagues look elsewhere, rather made them fixate on sickle cell trait because they were determined to do just that. Take for example their statement “Although the clinical information required for a diagnosis of acute chest syndrome was missing …” histologic findings were used by them to “prove” acute chest syndrome, and they stated that “acute chest syndrome was felt to be the major contributing factor to the cause of death”.1 Does the phrase “was felt” have any place in scientific discussion? Should we be concerned with how we “feel” when debating scientific topics, or should we rely on facts alone? 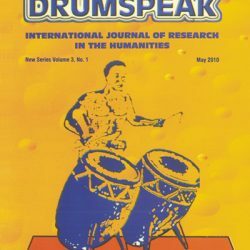 (xiv) The final statement of their inauspicious article says it all; it betrays a deliberate desire to link the un-linkable: “Although Sickle Cell Disease/Sickle Cell Trait is not one of the classic mimickers of child abuse, unusual orthopaedic pathologies can and do occur, and may appear as inflicted injury on skeletal survey”1. 5 Articles such as we find here in the Journal of Forensic Science are likely to be quoted by inexperienced clinicians and pathologists in support of their equally flawed findings. This must not be allowed to happen. Fortunately, wise editors such as are found for The British Medical Journal and The Lancet in England always go back to correct errors in previous publications whenever these were later pointed out to them. “We therefore wish to withdraw this case”14 was how Green, Huntsman and Serjeant removed the unsubstantiated “sickle cell trait intestinal infarction” case from publication. Family studies have shown that a case I once thought was sickle cell trait (NORMACHE), was in fact the Ghanaian sickle cell haemoglobin C disease patient (ACHEACHE) who was a banker and who died under anaesthesia in a London hospital during eye surgery. I challenge the editors of Journal of Forensic Science, in the light of what has been said above, to state that the case for child abuse in their case report of the second autism child that they described could not be dismissed, and I urge that these authors’ conclusion that their findings could be attributed to sickle cell trait be dismissed forthwith. 7 Finally, please wake up to the fact that modern researchers fail to recognise and quote thorough work that had been done decades ago. Any modern author that relies on a MEDSEARCH that contents itself with going back only 25 years is deceiving not only themselves but also the rest of us. Professors George M Edington and Hermann Lehmann did such meticulous Abnormal Haemoglobin research in the Gold Coast (Ghana) nearly 60 years ago as has hardly been equalled in thoroughness. 25-29 What these giants of Abnormal Haemoglobin Research said about Sickle Cell Trait and Sickle Cell Disease all those decades ago has not been bettered by any subsequent work that I know of. Yet modern authors like Kepron and colleagues not only do not refer to them, but rather claim to have discovered new insights into how sickle cell traits present. 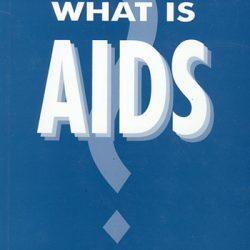 Professor Bela Ringelhann and I have summarized (with no less than 225 references) much of this and subsequent work.30 Ignoring this material because much of it was published decades ago is doing a great deal of disservice not only to Medical Science but also to us West Africans 1 in 3 of whom is carrying a beta-globin gene variant (NORMACHE). 1 Kepron Charis, Somers Gino R, Pollamen Michael S. Sickle Cell Trait Mimicking Multiple Inflicted Injuries in a 5-Year-Old Boy. Journal of Forensic Science Volume 54, No.5, pp 1141 t0 1145 September 2009. 4 NCEPOD (National Confidential Enquiry into Patient Outcome and Death) .. produced an 84-page report entitled ‘SICKLE: A Sickle Crisis? (2008)’ The Report (www.ncepod.org) ‘reviews the circumstances around deaths of in-patients with Haemoglobinopathies – sickle and beta-thalassaemia in the 21st Century in England, Wales, Northern Ireland, and the off-shore islands’…’Nine out of the 19 patients with sickle cell disease who had pain on admission and who then died had been given excessive doses of opiods’’. Death that was put down to “Acute Chest Syndrome” clearly was due to respiratory depression from the drugs which further produced in vivo sickling. 6 Vichinsky EP, Neumayr LD, Earles AN, Williams R, Lennette ET, Dean D, et al. Causes and outcomes of the acute chest syndrome in sickle cell disease. National Acute Chest Syndrome Study Group. New England J Medicine 2000; 342(25): 1855-66. 7 Addae RO. Sickle cell trait and altitude. Br. Med J 1972; 1: 53. 8 Konotey-Ahulu FID. Beware of symptomatic sickle cell traits. Lancet 1992; February 29, p 555. 9 Witkowska HE, Lubin BH, Beuzard Y et al. Sickle cell disease in a patient with sickle cell trait and compound heterozygosity for haemoglobin S and haemoglobin Quebec-Chori. New England Journal of Medicine 1991; 325: 1150-1154. [Note that the title of this article is incorrect: Sickle cell trait cannot also be referred to as sickle cell haemoglobin Quebec Chori disease. The ‘AS’ pattern is sickle cell trait pattern, but the ‘A’ here is not a true ‘A’ but the new haemoglobin called Quebec-Chori, producing a disease phenotype, not a trait phenotype]. 10 Boweman JE, Bernstein S. Caution about preliminary reports. Pediatrics 1977; 59: 639-640. 11 Konotey-Ahulu FID. “Percentage values of haemoglobins S, F, A2, C, A in various sickle cell phenotypes, and consideration of the Sickle Cell Trait”, In The Sickle Cell Disease Patient: Natural History from a Clinico-epidemiological study of the First 1550 patients of Korle Bu Hospital Sickle Cell Clinic. Macmillan London 1992 & T-A’D Co Watford 1996, Chapter 30, pages 349 to 371. 12 Green RL, Huntsman RG, Serjeant GR. Sickle cell and altitude. Br Med J 1971; 4: 593-595. 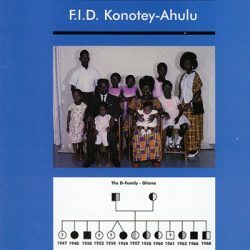 13 Konotey-Ahulu FID. An International Sickle Cell Crisis. Ghana Medical Journal 1972; 11: 4-8. 15 Konotey-Ahulu FID. Frequently Asked Questions (FAQs) in www.sicklecell.md or www.konotey-ahulu.com 2001 – 2011. 16 Aksoy M. Sickle cell trait in Southern Turkey. Lancet 1955; 1: 589-590. 17 Altay C, et al. Haemoglobin S and some other hemoglobinopathies in Eti-Turks. Human Heredity 1978; 28: 56-61. 20 Djabanor F F T. The Sickle Cell Trait and Altitude. Brit Med J 1972. 1: 113. 21 Konotey-Ahulu FID. Insurance and genetic testing. Lancet March 3 1993, page 833. 22 Boweman J E. Ethical, legal and humanistic implications of sickle cell programs. INSERM 1975, 44: 353-378. 23 Lehmann Hermann. Sickle cell and flying. The Times (London), 4th January 1972, editorial page. 24 Konotey-Ahulu FID. Four body guards and the perils of unmasking scientific truths. Brit Med J 2007; 335: 210-211, July 28. 30 Ringelhann B, Konotey-Ahulu FID. Hemoglobinopathies and thalassemias in Mediterranean areas and in West Africa: Historical and other perspectives 1910 to 1997 – A Century Review. Atti dell’Accademia dell Science di Ferrara (Milan) 1998; 74: 267-307. Acknowledgements: I thank Professor Simon Dyson for drawing my attention to the article of Charis Kepron and colleagues. 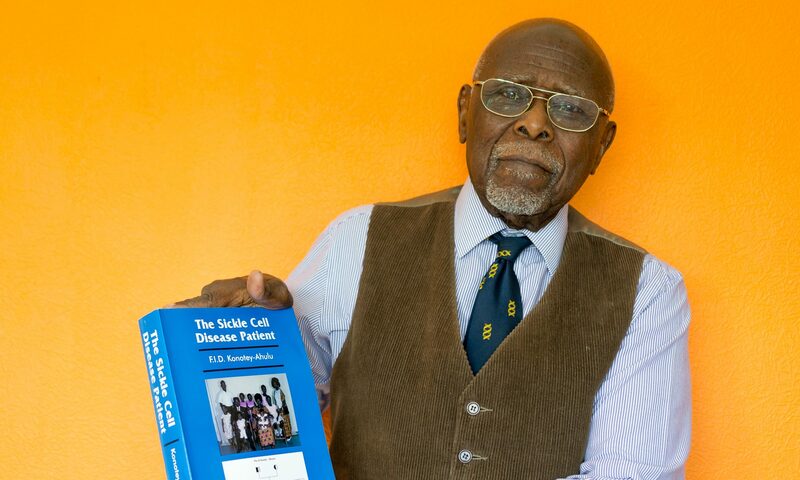 Professor Dyson has done much to alert people to the harm that unfair publications on sickle cell states can do. I recommend his websites for study.